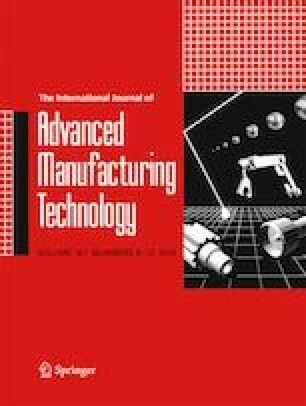 The paper presents the development of a novel automated engagement intelligent spanner that is capable of autonomously changing its jaws’ size according to the diameters of the bolt’s/nut’s heads. It is a complete innovative system that involves the utilization of the vision system and fuzzy logic to make decisions about the diameter of head of bolt/nut. Image processing techniques has been implemented to extract the features of the bolts/nut, such as borders, non-borders area, outer diameter, and inner diameter of the head of the bolt/nut. It can be generally divided into three different stages, namely image pre-processing, image processing, and image post-processing. In image pre-processing stage, the image is prepared by applying some operations, such as acquiring streaming video, image cropping, gray-scale transformation, and background separation. Many filters and functions are applied in the image processing stage to efficiently get a clear border for the bolt/nut. In image post-processing, the necessary calculations are applied to get the diameter of the desired bolt, which involves the use of Hough Transformer and fitting circles searching process. The fuzzy logic-based decision-making algorithm is applied to the images resulting from the post-processing stage in order to do a final decision on the diameter of the bolt/nut and approximate it to the nearest standards diameter. Three bolts sizes are used in the experiments, namely M4, M4 with dust; M5; and M6 which are tested with 80 samples (20 for each). The results show the capability of image processing and fuzzy logic algorithms in making the right decisions on the diameter of bolts/nuts with 99% successful rate. This research is provided by facilities and supported using UMP-Research University grant, RDU160131 by the Universiti Malaysia Pahang (UMP) and Ministry of High Education (MOHE).